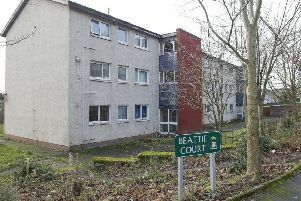 Haylodge hospital in Peebles, one of the three smaller hospitals in the Borders yet to be inspected by Healthcare Improvement Scotland. Heath Improvement Scotland (HIS) this week said it is getting round to inspecting community hospitals. A newspaper report this week noted that three of the hospitals yet to be inspected by the organisation are in the Borders – Hay Lodge Hospital at Peebles, Kelso Community Hospital and Knoll Community Hospital in Duns. A spokesperson for HIS told the Southern: “We have been inspecting the safety and cleanliness of Scotland’s hospitals since 2009. “Our rigorous inspection programme supports improvements in the quality and safety of healthcare services for patients and the public across Scotland, focusing on reducing the risk of a patient contracting an infection while in hospital. “In 2013, we decided to begin inspecting the cleanliness and safety of community hospitals alongside the continued inspections of acute hospitals. The process is risk-based and proportionate, meaning the focus is on areas of most concern.